When you first step inside Cappielow Park you know instantly that you have arrived in a special place.The whole place just oozes history and charm. The main stand covers the full length of the pitch. On the opposite side is a massive covered terrace which takes you back to the good old days of watching football. Both ends behind the goals are open standing and very spacious. The pitch was in fantastic condition. Catering was of a high standard and the prices were both value & sensible. The whole feel around the ground was relaxed and enjoyable. 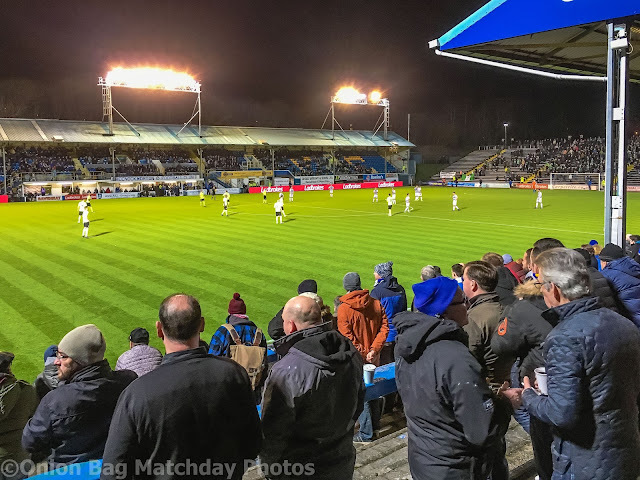 Cappielow has been home of Morton since 1879 and in its early history hosted International football , Athletics ,track cycling, and even unlicensed greyhound racing events. 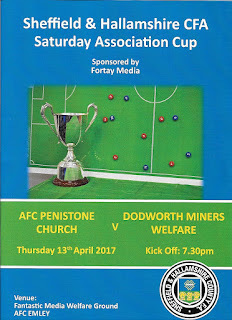 Its a cracker of a ground and is a 'must' visit for any so called football enthusiast.It is a fantastic ground, and i loved it !. 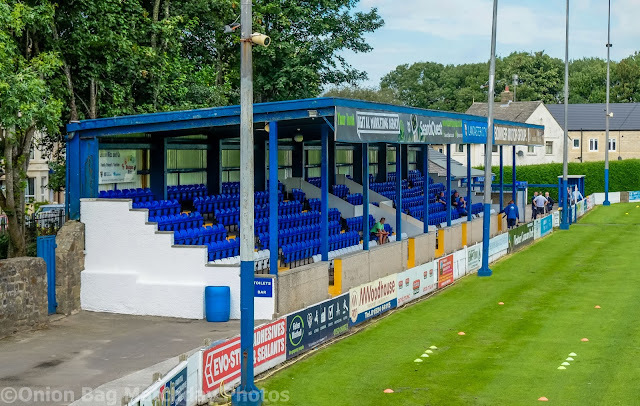 I spent a fantastic day visiting Lancaster and the Dolly Blues.The Giant Axe was immaculately presented and looked fantastic in the August sunshine.With its eclectic mix of stands.It feels wonderfully spacious and gives the impression its a proper non league ground. It is already known the club formed in 1905 as Lancaster AFC, folded in 1910 and was believed to have been replaced by Lancaster Town FC in 1911. However the new club would only have been permitted to join the Lancashire FA if it had satisfied the authorities it had no connection whatsoever with the previous Lancaster club. Today they are certainly a club on the up-curve and have played some excellent football this season and also gained promotion to the Northern Premier League. The views from the ground are wonderful , which include Lancaster Castle. The club was established in 1906 and joined the Northern League in 1911.They finished as runners-up in their second season, and won the league in 1913–14. In 1925–26 they won the league again, and in 1927–28 they reached the semi-final of the FA Amateur Cup, losing 2–1 to Cockfield in a replay. They won a third Northern League title in 1929–30, and in 1938–39 they reached the final of the Amateur Cup, losing 3–0 to Bishop Auckland at Roker Park, Sunderland. In 1949-50 they again reached the Amateur Cup Final played in front of nearly 100,000 at Wembley where they beat local rivals Bishop Auckland. That the day the whole town had migrated south for the day. In 1973 Willington reached the FA Cup 1st Round where they played the mighty Blackburn Rovers. The crowd was 4,600 (or so), the wind was blowing a gale, the result a goalless draw. “We should have won it, Tommy Holden missed a sitter with just a few minutes left,” recalls former player-manager Brian Newton. It was the Winter of Discontent. 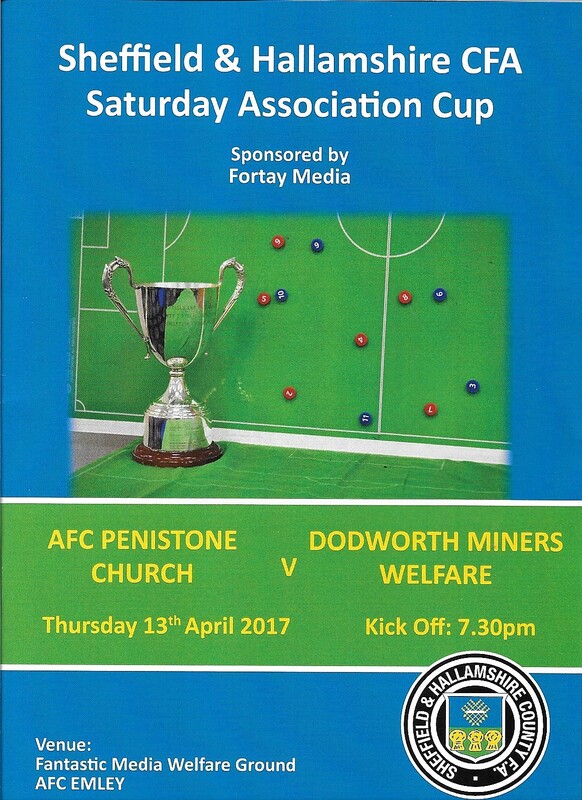 The miners were on strike, electricity rationed.No floodlights allowed, even if Willington had had them, and none for the replay, either. The replay was played on the Monday lunchtime. Though Rovers had fallen on relatively hard times, briefly in the third division, they were mill town millionaires compared to the thin seam toilers of the former colliery town of Willington. Today Willington AFC looks fantastic & the iconic main stand and facilities are beautifully maintained by the club's loyal team of volunteers. Its a very special place and just reeks of history. In my mind its a 'temple' of north east football. Quirky, charming, and beautiful. Due to the amount of possible winners i have split this into North & South categories as to choose only one winner would be impossible. Bowers & Pitsea FC is located just a '5 iron' away from Basildon in TOWIE land and to use the local vernacular is 'reem' ! 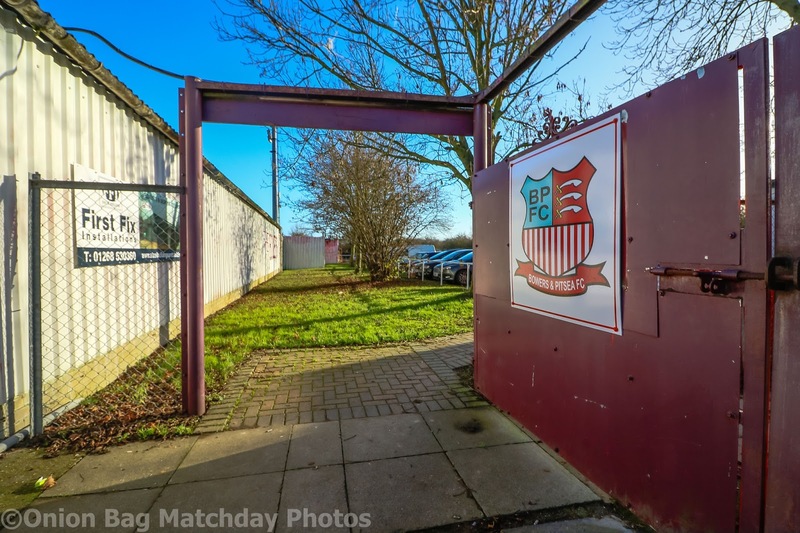 The club was established in 1946 by Bert Salmon as Bowers United and initially played in the Thurrock and Thameside Combination and today ply their trade in the dizzy heights of Isthmian League North. Having just completed their first season in the league finishing a very creditable sixth place just one win short of the play-offs. They are certainly a club whose future looks very positive. First team manager Rob Small is a classy guy and is doing a brilliant job for the club . The club were originally based at what later became Pitsea Market, before moving to Gun Meadow. When the A13 was built, the Gun Meadow ground was subject to a compulsory purchase order, resulting in the club moving to its current home on Crown Avenue. What a fantastic group they are , real football people ,and my welcome from everybody was as if I was a long lost son coming home. I suppose being surrounded by West Ham fans only made the visit more enjoyable being a lifelong Hammer myself. On the pitch I think I caught them on an off day as local rivals Witham Town banged five goals passed them. But they conceded the defeat with dignity, which only added to my regard for them. Fantastic day spent with Bowers in every respect and I cant wait to go back at the earliest opportunity. As early as September last year I had this earmarked for an OB Award for the visit was that good. Star of the day was Shaun ,Vice President / Groundsman / Tea Maker / Teams Organiser etc etc he took multi-tasking on a match day to new levels. Am not sure how many 'hats' he was wearing but he always had time for the visitor and make them feel special and welcomed. I saw him in the boardroom one minute then next minute I passed him using the grass strimmer to ensure Hall Lane did not have a blade of grass longer than any other. Shaun has been there boy and man and it shows. His passion and incurable optimism for the club shines through so brightly. 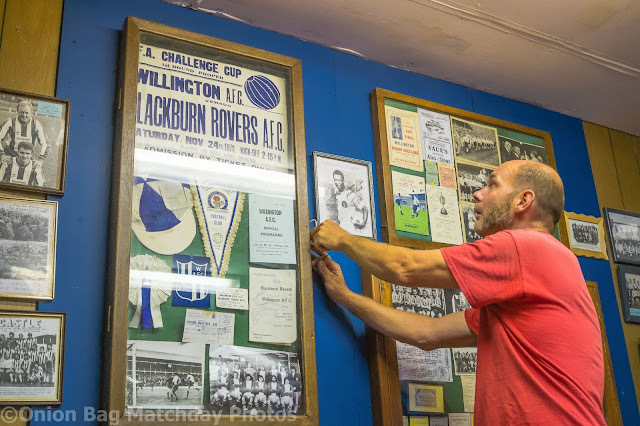 The boardroom is a treasure chest of football memorabilia and Shaun even took the time to offer me a personal tour. Everybody else was very welcoming and caring and went out of their way to ensure my visit was enjoyable. The levels of their friendliness held no boundaries.They deserve an OB Award and a visit to Willington comes with my very highest recommendation. Fortunately no clubs visted this season merited consideration. Therefore Margate FC retain their trophy for the 5th season running. Congratulations. What a cracking match this was between two teams low in the football pyramid. 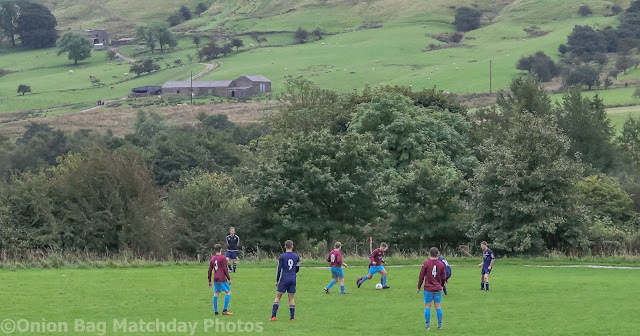 The match itself was play on neutral ground at Emley. Depite their lowly status both teams were very well supported. Dodworth (Barnsley) brought three coach loads of support. The roar from the crowd as each team scored or got on top was impressively loud. The game swung back wards and forward and was exciting from start to finish. Even extra time could not split these two teams and in the end Dodworth won the penalty shoot out 5-4. Fantastic match and totally unexpected. It was so enjoyable that even the Emley fans said it was the best game at their ground all season. Enough said ! That's two hours of my life I wont ever get back. This was dross and utter rubbish. No chances on goal. The less said about this evening last September the better ! This was the 4th time i had watched Worsborough Bridge and each time they have failed to score . In fact i saw them receive more red cards than scored goals ! The journey over to Edale was a nightmare in every respect. We endured substancial delays at every moment. Getting held up behind a Bride in a vintage car just west of Barnsley , then temporary roadworks hold up at Silkstone , Penistone and Millhouse Green. Then getting stuck behind a horse box , then large lorry on the Woodhead Pass. Missed the turning for Glossop , Then enduring delays behind a learner driver through Glossop. Then at Hayfield near Kinder Scout getting caught up with Mountain Rescue , blue lights flasing every where. Upon finally arriving in Edale we could not find the football pitch and in the end ran out of petrol. Thankfully a kind resident of the village went home to grab a can of petrol they had saved for such emergencies. The nearest garge was five miles away in Hope. God bless those lovely people ! Edale FC play in the Village playing fields adjacent to a play park. Players change in the portacabin.The ground has no furniture of sorts but has spectacular views to Kinder Scout which more than make up for the lack of facilities. The pitch was long and bumpy all over. The touchlines were hardly white and were more like deep grooves. The match itself was non stop entertainment including some fantastic goals including a 25 yard screamer in to the top corner, an up-and-under from level with the corner flag. A 20 yard free kick curler into the top corner , a clever chip over the goalie , and plenty more. Stoney Middleton actually went 2-1 up midway through the first half and looked in control and had plenty of chances to go further ahead. But Edale equalised before half time. HT 2-2. After a four minute break off they went again and suddenly Edale went beserk scoring 4 goals in no time to make it 6-2. Stoney grabbed one back to make it 6-3 , but then Edale scored 2 more quick goals to make it 8-3 and there were still 15 minutes left to play.Then a Stoney player was at least ten yards offside …. yes I did say ten yards ! and the ref played on for them to score and make it 8-4. It was another 'keystone cops' moment in this astonishing match. Just stunning photography work from Ben. Take a look at his collection, but beware that you will spend more time salivating than expected. What a guy Cleggy is , what a season had by Atherton Collieries. 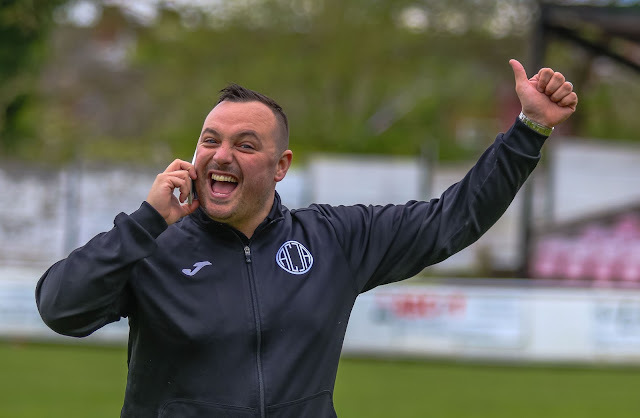 He deserves all the applause he can get after securing promotion with Atherton Colls to the Northern Premier League for the first time in their history. He deserves a knighthood. The way he has knitted together the most 'tightest' group of players. The bond they have within their squad is like no other I have seen in non league football. 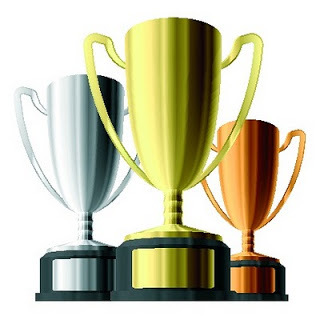 They football they have played has been excellent and the banter throughout the season has been amazing.For all his hard work over the last three seasons and the progress made by Mr Clegg he fully deserves an OB Award. It would be no suprise in seasons to come bigger clubs will come calling for him and his backroon team, for he is that good. Quality guy in every respect. Delicious food served by Steels and the homemade soup was so tasty. The night I visited we had sleet and rain storms so it made the homemade soup a real winner. All served with a warm crusty bread roll.